A generously sized version of a classic Japanese design, small hobnails cover this all black Tetsubin teapot and also ring the outer edge of the lid. 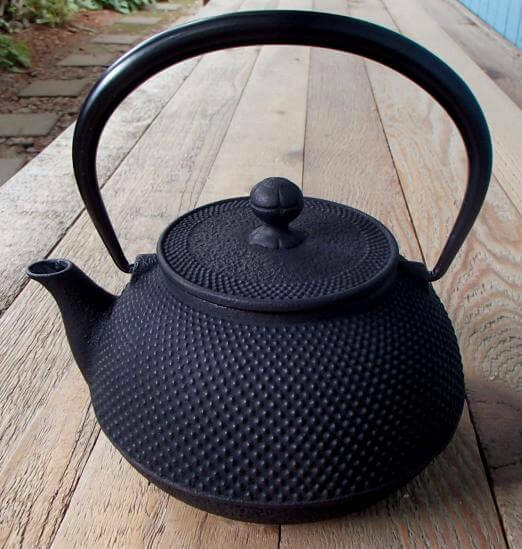 This Japanese cast iron teapot includes a fitted fine mesh tea strainer basket and a porcelain enamel coated interior. Care instructions will be included with every Tetsubin.